News from LMCU: Lake Michigan Credit Union’s $25,000 Home Makeover Giveaway! 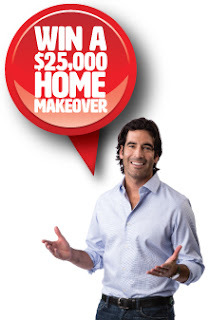 Lake Michigan Credit Union’s $25,000 Home Makeover Giveaway! This year’s edition of our $25K Giveaway is well under way! But you can’t win if you don’t enter. Easy peasy! Enter at: LMCU.org, any branch location, our Facebook page, or many of our ATMs. What could you do with $25,000? Entry deadline: May 22, 2017! * Enter early. Enter daily! *Contest ends May 22, 2017. You can enter once per day for the duration of the contest. Entrant must be 18 or older and a Michigan or Florida resident. For a complete list of contest rules, go to LMCU.org. One time entry using an LMCU ATM may become available during the sweepstakes. See official rules for ATM details.